Home Insights & Events Am I MTD ready? Tony joined Wilkins Kennedy as a Partner in 2011, following the merger of WK’s Amersham office with Casey Lester. 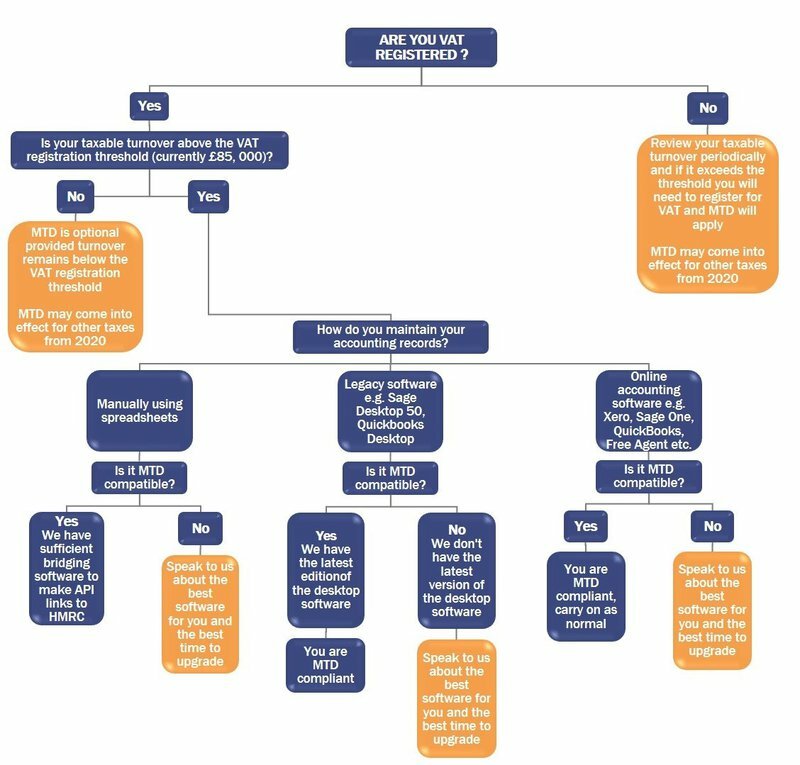 Find out if you are MTD ready - follow the flow chart below. Work with you to develop a transitional strategy to make your record keeping digitally compliant. Assess the most appropriate software on the market that will suit your needs. Preferential software prices may be available, as part of any agreed plan. Implement the agreed strategy within the recommended timeframe. Provide training and support where required, either onsite or offsite. Your usual WK contact can help, or feel free to email our dedicated Making Tax Digital team at WK.MakingTaxDigital@wilkinskennedy.com.